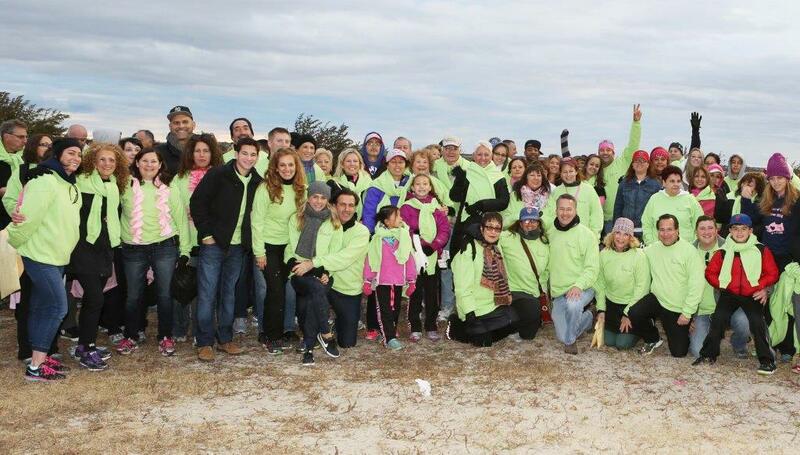 What started out 15 years ago as a ragtag team of doctors and patients in the Jones Beach parking lot has turned into a powerful pink machine (or color of that year’s sweatshirt) committed to beating breast cancer. Each year for the Making Strides of Long Island event, the team has added more members to the fight, and with that our punch has grown mightier. It turns out, the team made more than just a few strides last year. I am thrilled to announce the news we recently received from the American Cancer Society Eastern Division…in 2014, the Aesthetic Plastic Surgery, PC team raised $137,385 for Making Strides Against Breast Cancer!! Our team’s best year ever! As the team’s cheerleading captain, I am so proud of the commitment and passion demonstrated by our team members. It is very inspiring to see our community come together for a common cause to help finish the fight against breast cancer in such an impactful way. I would like to give a great big ‘CONGRATULATIONS’ to everyone on the team for their hard work, and the ACS sends along their gratitude for the powerful punch against cancer. And, a special thanks goes to Drs. Feingold, Israeli, Korn and Light for being amazing humanitarians in addition to being superb plastic surgeons. They are like the team’s engine. Their enthusiasm about their patients’ well-being mixed with their strong desire to get rid of cancer motivates us all to join in this important cause. The most rewarding part of all of these efforts is to see the impact it's making on the lives of those touched by breast cancer. In addition to the numerous research breakthroughs and treatment innovations, there has been a 34 percent decrease in breast cancer death rates since 1989, resulting in more than 203,000 lives saved. Learn more about what the American Cancer Society is doing to save lives. I don’t know about you, but I’m more revved up than ever to finish this fight. It’s never too early to start getting your team ready, so let’s start thinking about how we can all make 2015 pack the most powerful punch against cancer. If you would like to find out more about Making Strides Against Breast Cancer or joining our team, I would be happy to give you more information.